IT IS THE GULF OF MEXICO, STUPID! CNN and the other unbiased media, reported the unprofessional and unsafe actions of the Iranians, who, last week, sent their small patrol boats to harass two US naval ships, a destroyer and a missile carrier. The puny boats got as close as quarter of a kilometer, before the ships fired warning shots to ward them off. 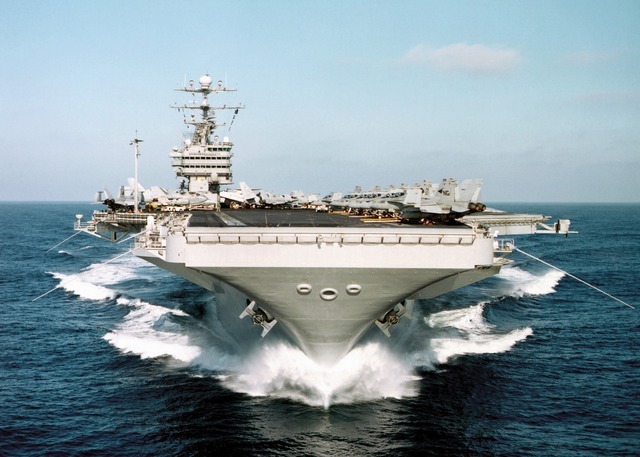 The Pentagon was indignant that the Iranians were so brash, to flaunt the Freedom of the Seas Law, and bother innocent ships routinely transiting the Gulf, and in international waters. Somehow, it slipped the Pentagon’s mind, that twenty eight years ago, the USS Vincennes, a guided missile cruiser, shot down an Iranian passenger plane on a routine flight from Iran to Dubai, killing all 290 innocent civilian passengers on board. It slipped their mind that the plane was in Iranian air space at the time of shooting, and the that the US ship was illegally in Iranian territorial waters. Still another slip of the mind, the US ship had earlier, “professionally and safely”, sent its helicopters into Iranian air space to harass Iranian gun boats and draw their fire. The slips of the mind are so many that, one begins to suspect the on-setting of Alzheimer’s. The US never admitted guilt nor apologized to Iran. It was just an accident that could have happened to anyone! On a more recent note, last January, a US patrol boat accidentally strayed into Iranian territorial waters, despite its high-tech direction finders. The Iranians did not react and shoot the boat, but rather, arrested it and held the crew in a civil manner for a few days, and later released them. American indignation at Iranian repeated impudence is increasing. Even, those who are normally fair and unbiased are upset. One of those unbiased parties, a duo team from the Jewish Policy Center and from the American Foreign Policy Council, wrote a learned article, calling for the end of American humiliation by Iran. The Pentagon could consider the wisdom expounded by this article and act to end Iranian insolence – by nuking it? And filling the resulting hole with water to create a new sea? There are two steps to achieve a real solution to this problem. First, the Iranians have to realize that is neither a Persian Gulf nor an Arab Gulf, it is the Gulf of “Mexico #2”. Second, the Iranians have to learn proper civilized behavior between nations. And their training could begin by an invitation to cruise their battle ships along the American coast, and see for themselves, that nothing nasty will happen to them. Previous Previous post: Kerry Here, Kerry There, Kerry Everywhere!